Eau Claire's long-gone restaurants – the ones we knew and loved – were critical to forming the eatery landscape we enjoy today. They helped hone our palates and gave us indelible memories of time spent dining out with family and friends. With the help of the nearly 8,000 followers of the You Know You Are From Eau Claire When … Facebook group, we compiled the list below. We were blown away by the response to a post in which we asked group members about their favorite gone-but-not-forgotten local restaurants. In the days (and weeks) that followed, more than 300 people chipped in to reminisce about the eateries – supper clubs, buffets, cafés, taverns, pizza joints, sandwich shops, and more – that they most miss. It wasn’t exactly a scientific poll, but the 500 comments (and counting!) gave us a good look at which places Chippewa Valley diners, as a whole, miss the most. Get your napkins (or maybe handkerchiefs?) ready, because here, in order, are the most-mentioned retired restaurants, along with a few memories of each. 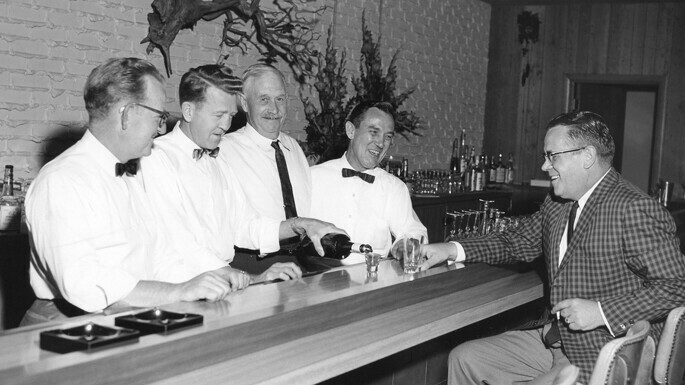 Austin Johnson and Eddie Meyers started this restaurant – dubbed “Eau Claire’s original steak house” – in 1941, and Johnson took over sole ownership of what became known as Austin’s White House (above) in 1946. His daughter, Kaija Johnson, says her mother, Mildred, served as the bookkeeper, and the family owned the restaurant until selling it to Dave and Lily Fischer in 1987. Befitting its name, Austin’s had a reputation as one of the classiest joints in town. “Austin’s White House was a special place to go for a special date, celebration, or a great steak,” writes former Eau Claire resident Rod Bauer of Birchwood. The White House closed after a fire in 2001. The “Cam,” as it was lovingly known by several generations of Eau Clairians – notably UW-Eau Claire students and staffers – was opened by Meriland “Pearly” and Mary Lee Johnson and Joe and Mary Giammona in 1971. (Before that, the establishment was owned by Peter Giammona and was called Pete’s Fifth Avenue Bar.) Cozy, friendly, and decorated with historic artifacts (including church chandeliers and a courthouse balcony), the Camaraderie was a classic, Cheers-like tavern. Gloria Hochstein of Eau Claire fondly remembers “salads with ‘fixings,’ back rooms for meetings, glorious cheese curds, noisy wooden floors, mementos from Eau Claire history, and so much more.” Emily Rockwell recalls going there to eat as a child: “I remember the amazing decor – big wooden bars in the front and back, tons of old neon signs and unique posters, (and) checkered tablecloths. It was such an eclectic, homey place.” Sadly, the Cam was destroyed by fire in 2001. Dooley’s Pub now stands in its place at the corner of Water Street and Fifth Avenue. This pancake house stood at 1527 South Hastings Way, roughly where a McDonald’s is today. Between the 1970s and 1990s, the Pied Piper lured hordes of diners with inexpensive comfort food. (A 1976 newspaper ad touted a 95 cent all-you-can eat midnight pancake feed.) Brian Steinke adds that the Pied Piper was one of his mother’s favorite places to eat, but that she avoided it on Fridays because the fish fry attracted so may patrons. “Pied Piper was more of an after bar closing time place, where you got steak and eggs for a reasonable price and could sit and drink coffee with your friends until the sun came up,” remembers Kathy Jorgensen Church. The Jolly Troll Smorgasbord, 2613 E. Clairemont Ave., opened in 1966 and is recalled as much for the copious amounts of Scandinavian food it served up as it is for its animatronic trolls (which were either adorable or creepy, depending on individual perspective). 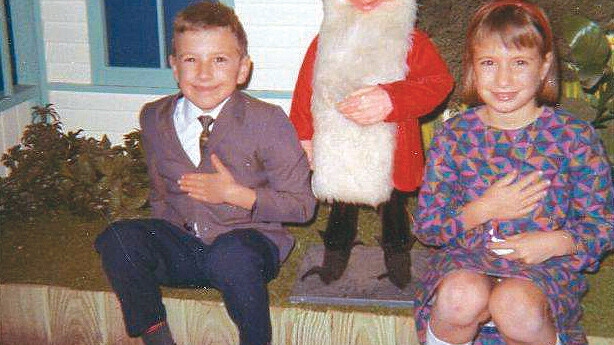 Eau Claire’s Eric Larsen, whose parents managed the place from 1969 to 1975, remembers the amazing Swedish meatballs (as well as the stinky, once-a-year lutefisk). The former home of the Jolly Troll became an Old Country Buffet in 1983. With the help of a century-old barbecue sauce recipe from Texas – not to mention huge portions – Mike’s became one of Eau Claire’s favorite dining spots after opening in 1978 at the corner of Clairemont Avenue and Menomonie Street. “Mike’s Smokehouse was fantastic,” recalls Rod Bauer. “Food, service, price, location, everything was super fantastic. I enjoyed the fish and most of all the prime rib.” The Smokehouse moved in 1997 to new digs at 2235 N. Clairemont Ave., and changed hands twice before going out of business in early 2014. These days you can’t throw a chimichanga without hitting a Mexican restaurant in the Valley, but that wasn’t always the case. Chi-Chi’s, 1030 W. Clairemont Ave., was one of the first large-scale eateries to feature South of the Border fare. “Chi-Chi’s was the premier place to go when you had those cravings for good Mexican food or wanted to chill out with friends and have a few margaritas,” recalls Brian Steinke. One of the few chain restaurants on this list, Eau Claire’s Chi-Chi’s opened in 1984 and closed in the early 2000s around the time the entire chain filed for bankruptcy. 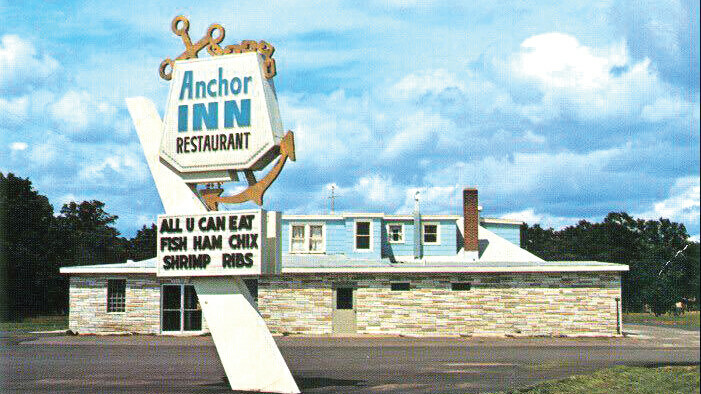 True to its nautical name, Anchor Inn, on "old" U.S. 53 between Eau Claire and Chippewa Falls, is well-remembered for seafood. “You have never eaten shrimp until you had Anchor Inn shrimp,” wrote Rick Wickland on Facebook. Adds Tami Schraufnagel: “The all-you-can-eat fried shrimp were about as brave as I would get, In those days – probably 25 years ago – I could snarf down three servings. (I liked the fact that they were small plates filled with out-of-the fryer goodness).” Anchor Inn closed in 1983. Beginning in the mid-1960s, Wally’s helped meet the Valley’s seemingly insatiable taste for all-American food – especially steak. Wally’s, 1505 N. Clairemont Ave., is recalled by former Eau Clairian Doug-Stevie Benson for “extremely friendly people,” good food, and reasonably prices. Wally’s closed in 2001; the building is now home to Tailgate’s Sports Bar & Grill. Bonanza, which opened in 1983 at 2620 E. Clairemont Ave., is recalled warmly by former patrons and employees alike. “It was a great place to get an inexpensive steak, and the salad bar seemed a mile long!” remembers Brian Steinke. Paula Duxbury, who worked there as a waitress, says former staffers still get together for reunions. “I’m touched that, while we were part of a national chain, we did a great job,” she says. In 1996, Grizzly’s moved into the restaurants, which is now Milwaukee Burger Co. The Chippewa Valley is filled with a rich and beautiful history, exemplified in its historic buildings. The Eau Claire County alone has 63 entries in the National Register of Historic Places, three of which date back to the 1860’s. Of our 63 entries these are the five oldest buildings in the Eau Claire County.